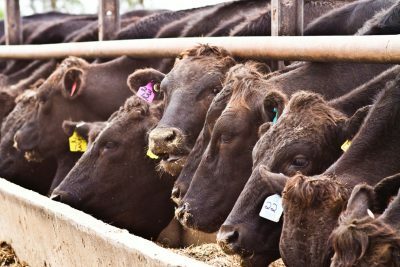 SPECIALIST Wagyu beef supply chain Stone Axe Pastoral Co has taken a 50 percent interest in John Dee Group’s Yarranbrook feedlot business near Warwick in southern Queensland. The investment forms a joint venture between the groups with a focus on continuing the feeding services to the JV partners’ own cattle, as well as continuing to provide custom-feeding services to third parties. “Stone Axe has made significant investments in its Fullblood Wagyu genetics and East Coast breeding operations and the partnership with the team from John Dee represents another significant milestone in Stone Axe’s plans to be a leading vertically-integrated producer of premium Wagyu beef,” said Stone Axe managing director, Scott Richardson, in a statement. Yarranbrook feedlot, located near Inglewood, has an operating capacity of 20,000 head, but holds a license to feed up to 25,000 head with further development. The yard is owned and operated by the Hart family, which operates the nearby John Dee export beef processing facility near Warwick. The yard produces grainfed cattle mostly 100-150 days for John Dee’s own Silver and Gold grainfed brand programs, and also provides custom-feeding services for outside clients, ranging from domestic to longfed Wagyu export weights. The yard is profiled in detail in Beef Central’s Top 25 Lotfeeders report. “The Hart family and the John Dee team have been operating the Yarranbrook feedlot for more than 30 years, and their abattoir for 75 years, and have a great production system feeding and processing high-value cattle especially long fed,” Mr Richardson said. Stone Axe Pastoral recently expanded its east coast Wagyu cattle operations footprint, contracting to lease a $35 million property bought earlier by Rural Funds Management. 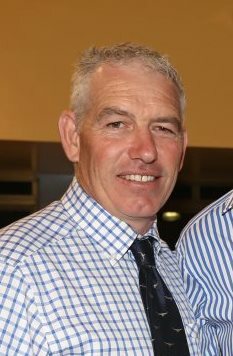 John Dee’s chief executive Warren Stiff said the new ownership structure allowed the company to continue to grow the feedlot’s capacity to support the business’s growing customer base, and would provide capital to further invest in its abattoir operations. Stone Axe is backed by Roc Partners, a Sydney-based investment group focussed on agriculture and private equity. Click here to view and earlier profile. Roc Partners’ managing partner Michael Lukin said Stone Axe Pastoral had built a great relationship with John Dee and the Hart family, and looked forward to the partnership together. John Dee is a family-owned Australian company with four generations of experience in producing and selling outstanding beef products, enjoyed by thousands of customers nationwide and around the world. The Group’s primary operations are its abattoir and feeding operations in Southern Queensland as well as distribution and trading business. e Wagyu industry in Australia. Stone Axe has farming operations on both in Western Australia and on the east coast, producing premium Fullblood Wagyu cattle destined for Australian restaurants and premium restaurants around the world.